The words from the social media stream of Foxglove Lane, one of my favourite photographic blogs, captured the almost overnight change in our weather. Our wonderfully long Indian summer is coming to an end. The leaves have started to flutter down in the autumn breeze and the hedgerows are giving us hints of the glorious shades that will soon adorn the landscape in their fall displays. In the laneways the hedge cutters are busy trimming and tidying and thankfully those around us are doing so with sharpened blades that don’t leave the branches scared, torn and naked. The hedgerows are looking trim and tidy, ready to take the weight of snow that may befall them and the regrowth that springtime will bring. In our homestead Mr G has been busy clearing out sheds so he has room to cut and store firewood and make space for workshop repairs, a never-ending pastime when you live in an old, rescued farmhouse. And the garden… I’m beginning to despair at the lack of time I’m managing to find in my own. I do know however, this is a temporary glitch, soon I’ll be able to spend some precious hours inhaling the scent of soil and vegetation, preparing the garden for winter, hopefully before the rains come. The days and nights are still warm but that could change, quick as a flash. Keep a close eye on your squash plants and the weather forecast as members of the squash family are frost tender. If you haven’t already done so, cut the stems of any plants that aren’t producing fruit and stop them growing. 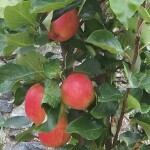 Small fruit are unlikely to amount to anything at this stage so its sadly time to get rid of them too. 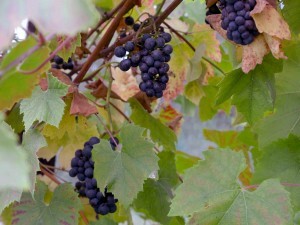 It may seem harsh but it will allow the plant to put all it’s energy into developing the remaining fruit on the plant. For more information on growing, harvesting and caring for squash, the RHS have a very useful information page here. 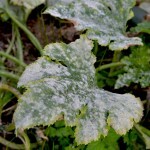 Courgettes will be coming to the end of their season and you may have noticed some whiteness on the leaves. 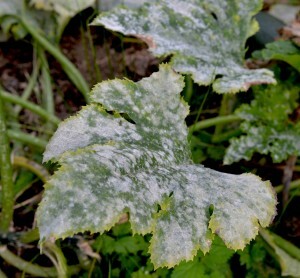 This is likely to be powdery mildew and can be treated by removing the worst of the infected leaves from the plant and spraying the rest with a solution of 30% milk to 70% water. Don’t forget that plants have a natural lifespan and many will be starting to die off at this stage anyway so it may just be time to let nature take her natural course. Now’s a great time to get outside and clear away all the debris of plants that have finished growing. 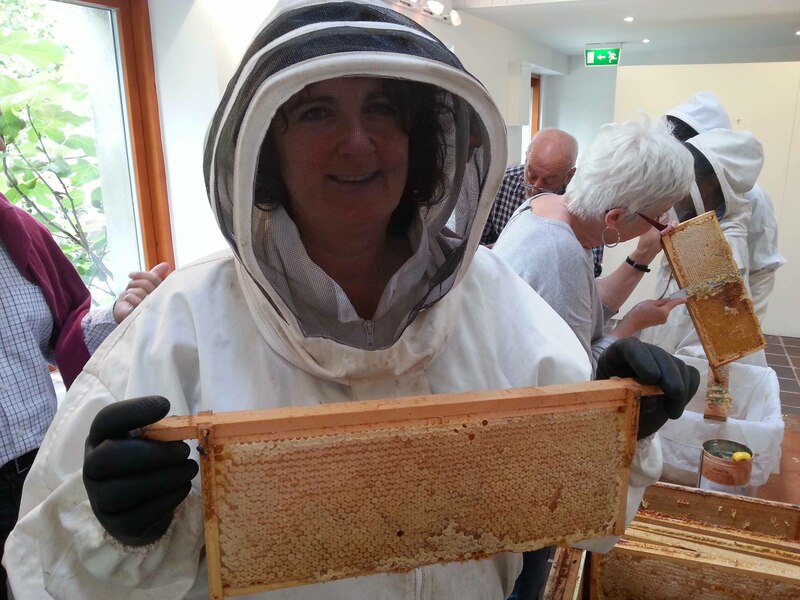 Compost anything that’s not diseased, tidy away canes and netting. 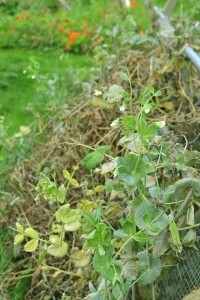 Clear away dead leaves away from plants such as the brassica that will be overwintering. Once you’ve cleared away all the old plants and vegetable debris from around your garden, you may be left with beds of bare soil. If you’re not planning on planting any vegetables to overwinter, it’s a good idea to cover the soil with well-rotted manure or compost then cover them with black plastic or cardboard to prevent the nutrients leaching out during the winter months and polluting water streams. 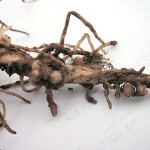 This will not only feed the soil over the winter months but prevent weeds growing too. 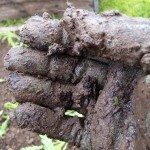 If you don’t have access to manure or compost, most garden centres and online stores now sell green manures that can be sown and left to grow until the springtime before being dug into the soil before planting season begins again. 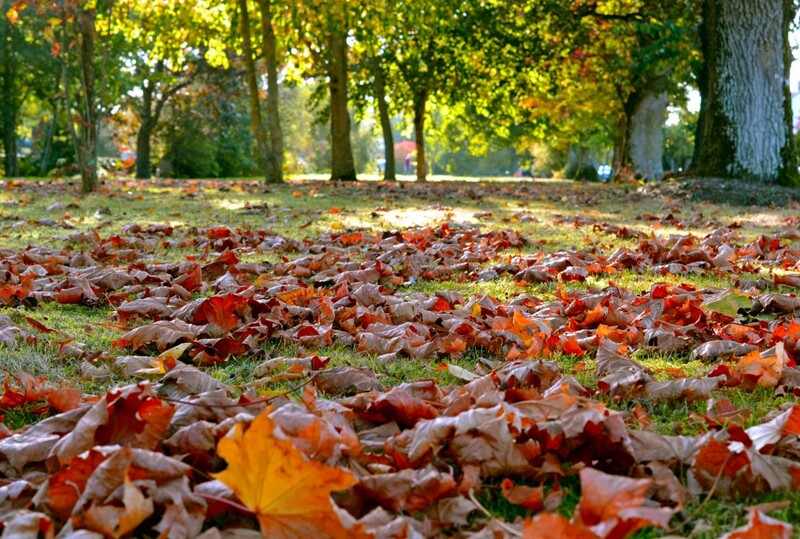 Leaves are a valuable source of nutrients and will rot down to create leaf mould that will turn into a wonderful soil conditioner. It’s a good idea to keep leaves separate from your compost area. Sacks can be purchased to keep them in or make a leaf mould bin using four fence posts and some chicken wire. 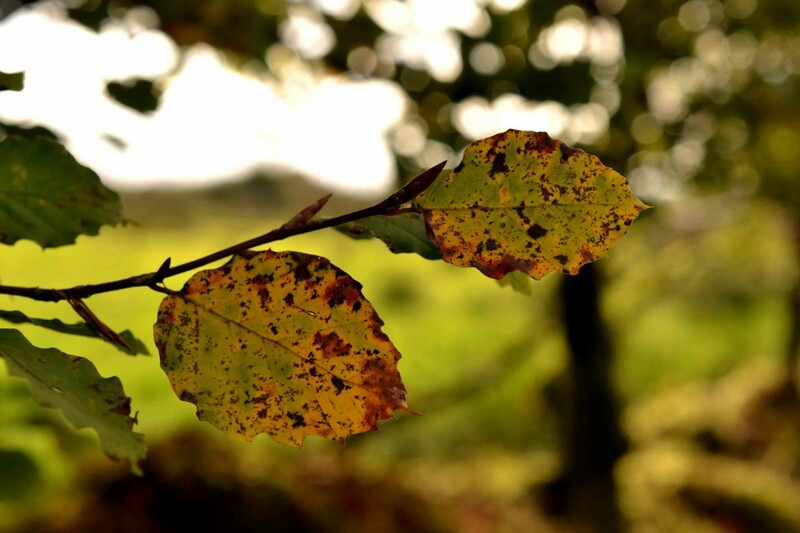 The Secret Garden blog explains leaf mould in more detail and why it makes sense to collect our leaves. I spotted some very useful tips from the Real Men Sow blog recently that will tell you how to look after your rhubarb patch in the autumn. If you haven’t done so already, stop harvesting, let the leaves die down naturally then mulch heavily with well-rotted manure. Don’t cover the crowns completely is it may encourage rot to set in. Tending to your rhubarb now will make sure you get a good crop of stalks next year. 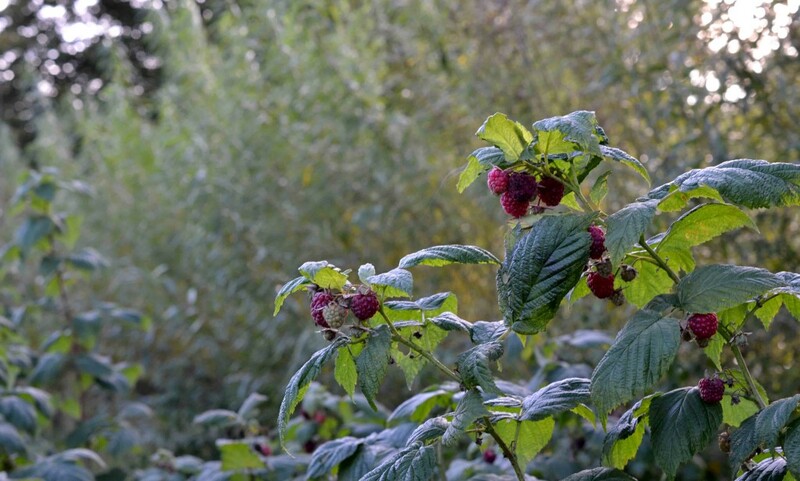 Just because we’re approaching winter, doesn’t mean we can’t grow anything. Now’s the time to plant overwintering onion sets and garlic cloves. Oriental salad leaves grow well in our climate as well as winter spinach and hardy peas. If you’d like more than seven things to get on with in the vegetable garden, check out the Garden Tips page on the tab above for a month by month guide, as well as some handy, free downloads. 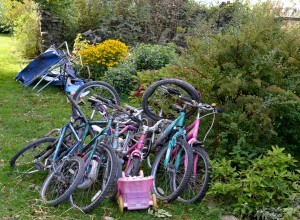 Oh and if you can think up any upcycling ideas for a pile of old bicycles, be sure to let me know! 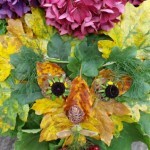 Pumpkin Art – Time For Something Different? I’m pleased to see that I’m doing all the right things Dee. I never get to the end of my list of jobs because I keep adding to it, but it’s good to cross jobs off. I love all the tidying up ,clearing and manuring that we do in Autumn. It feels like we’re tucking the beds up for their winter sleep. And then there’s all the planning for next year too. We’ve got fruit bushes to prune yet and we’re laying paths too. It sounds busy in your garden Margaret! Great work 🙂 There never seems to be an end, it’s just choosing the most pressing! I still haven’t covered my beds yet but we’re harvesting lots and will hopefully get to it soon.